With over 60,000 active users, Easy Digital Downloads is the third most popular WordPress e-commerce plugin. It has all the features that most e-commerce websites need to sell digital downloads online. However, it not obvious how to password protect parts of your downloads store or make it private. This is the ultimate guide on how to do just that. I’ll show you how to protect parts of your Easy Digital Downloads store, or even your whole shop. There are written instructions and video tutorials to help you set it up. The easy way to hide or protect Easy Digital Downloads products & categories. Why would I want to make Easy Digital Downloads private? Most e-commerce stores selling digital products are available to the public, so that anyone can buy the downloadable files. However, many stores need to be partly or completely private and hidden from public view. This might seem strange, as the whole purpose of an e-commerce website is to make as many sales as possible! But there are many reasons why an Easy Digital Downloads store might need password protected categories. Public Easy Digital Downloads store with password protected members area – Lots of e-commerce websites have public and private areas. Perhaps you have a public store selling downloads that are available to anyone, and a private area for wholesale or trade users. Client-specific products – If you sell downloadable products which are unique to each customer then you could create a hidden password protected category for each client. This might be useful for a photographer selling digital prints of their images online after a photoshoot. Members-only Easy Digital Downloads store – You might want to create a completely hidden downloads store which is only available to your members. Lemony Fizz are a craft company providing paper crafts, planners and printables. They use Easy Digital Downloads with the Free Downloads extension to provide free project downloads to their subscribers. The Password Protected Categories plugin restricts the downloads so that only registered subscribers can download them. 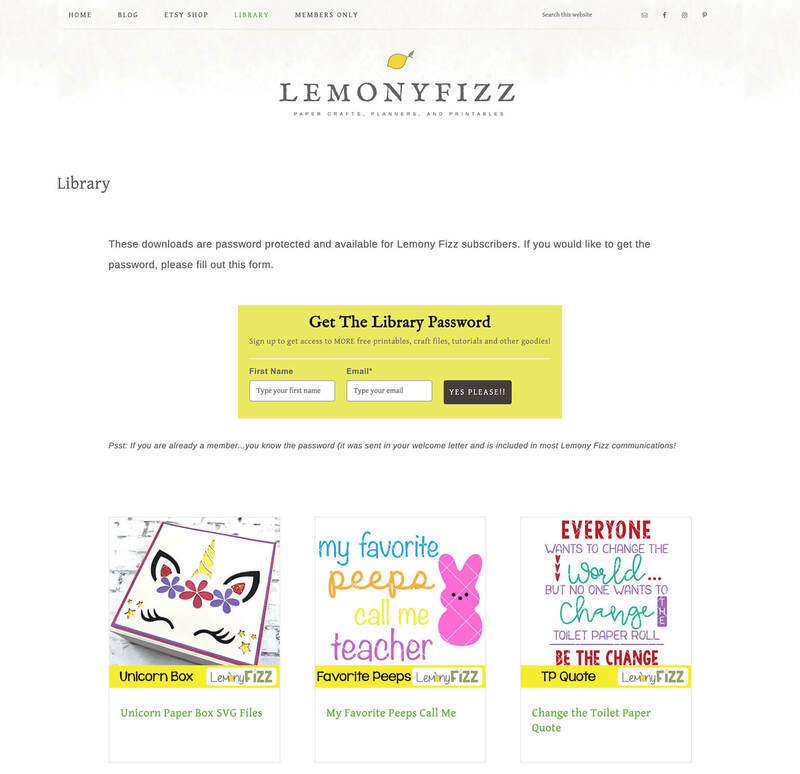 People visit the Lemony Fizz printables library which lists all the downloads. If they are a subscriber then they can click on any download and enter a password to unlock it. Once they have done this, the entire library is unlocked for them. Non-subscribers can sign up using the form at the top of the page, which integrates with their mailing list software. After confirming their subscription via email, they receive a welcome letter containing the password to the downloads library. 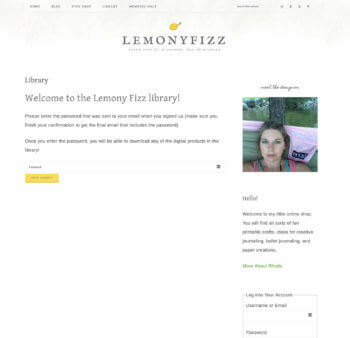 Note: Lemony Fizz have chosen to list their protected downloads in public parts of their site, but require a password to access the single download page. If you prefer, then you can hide the protected downloads from public view so they are invisible until you unlock the protected area. As you can see, there are lots of reasons to password protect Easy Digital Downloads. Next I’ll talk you through 3 ways to make downloadable products private. I’m assuming that you already have an Easy Digital Downloads site with downloadable products and categories set up. Password protecting Easy Digital Downloads categories is a more user-friendly solution. Adding password protection to specific categories locks down the category page and all its downloads with a single password. (Or multiple passwords, if you’d rather have a unique password for each customer.) Once the customer has entered a correct password, they will have access to that category, its sub-categories and all the downloads within it. 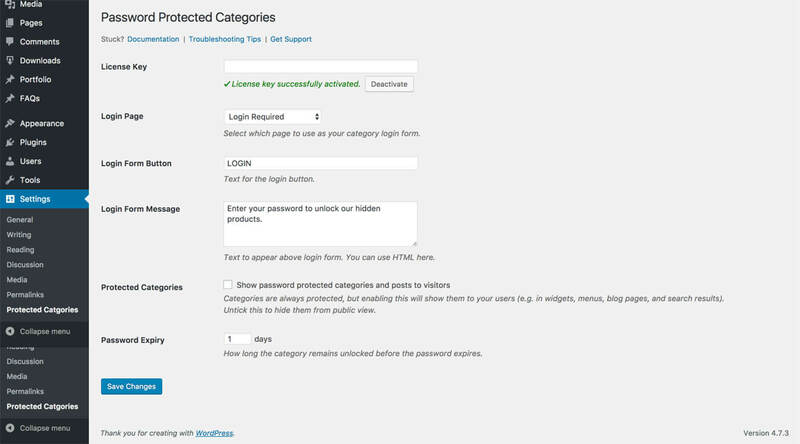 You can achieve this with the Password Protected Categories WordPress plugin. This is a simple plugin that lets you password protect Easy Digital Downloads categories in just a few minutes. Install and activate the Password Protected Categories plugin. Select a page for customers to log into the protected categories. Choose what text will appear on the ‘Submit’ button on the password login page. Add a custom message which will appear above the password entry form on the login page. Decide whether to tick the ‘Show password protected categories and posts to visitors’ box. If you leave the box unticked then your protected categories and their downloads will appear on the main Downloads page. They can also appear in your navigation menus, widgets and search results, if you’re using these. Ticking this box hides the protected categories from your public-facing website. Choose how many days will pass before a customer has to re-enter the password. For example, if you choose ‘3’ days then when a customer logs into a password protected category, they won’t have to re-enter the password again for 3 days. The aim is to get the right balance between user experience and security. Once you’ve installed and activated the plugin, go to Downloads > Categories in the WordPress admin. Go to create a new category or edit an existing one. You’ll see a new ‘Visibility’ option that wasn’t there before. Choose ‘Password Protected’ and enter a password for your category. If you want multiple passwords, click the + icon to add more. Click ‘Add New Download Category’ or ‘Update’ (depending on whether you’re adding or editing a category). If you want to add sub-categories, add these now. Choose your password protected category as the ‘Parent’ and leave these set to ‘Public’. They will automatically be protected with the same password as the parent category. Repeat steps 1-6 to create any other password protected categories for your Easy Digital Downloads store. Next, go to the Downloads page in the WP admin, where you’ll see a list of all your downloadable products. If you don’t have any yet, add them now. Tick the relevant boxes to put some of your downloads within your password protected categories. You can either do this on the Add/Edit Download screen, or use Quick Edit on the main Downloads page. If you want, you can add links to your protected categories in the usual way. For example, you might want to link to your login page from the menu. This is completely optional and you can choose how to incorporate your protected categories into the overall structure of your website. And that’s it! You’ve password protected your Easy Digital Downloads categories and protected the downloadable products within them! For more information, please see the plugin knowledge base. 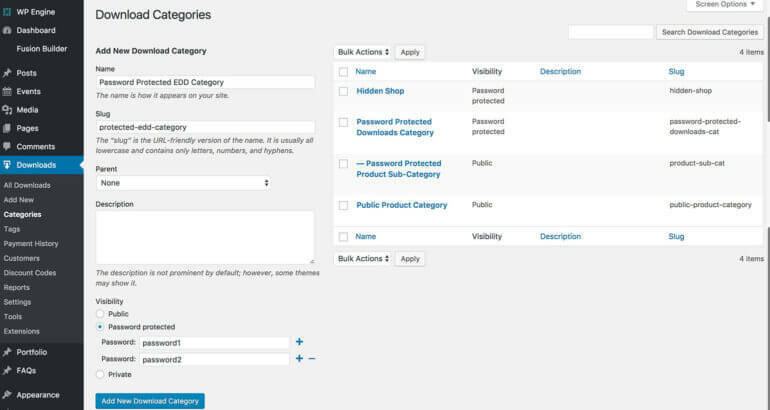 The Password Protected Categories WordPress plugin also includes an option to create private Easy Digital Downloads categories. You probably noticed this when I showed you how to password protect categories in the previous section. Private categories are different from password protected categories because they only appear for logged in users with the right permissions. In contrast, password protected categories are separate from WordPress users – anyone can enter the password, regardless of whether they have a user account on your website. Private Easy Digital Downloads categories are completely invisible and hidden from public view. They automatically appear to logged in customers depending on their role. By default, private categories and their downloads are only visible to Administrators and Editors. You can make them available to normal Easy Digital Downloads customers by modifying the user capabilities for this level. (If you don’t know how to do this then I recommend the User Role Editor plugin.) The WP role for normal customers is called ‘EDD Subscriber’, so you need to give this role access to private posts and categories. Follow the steps in the previous section on creating password protected categories in Easy Digital Downloads. The only difference is that instead of choosing ‘Password Protected’ when you add or edit a download category, select ‘Private’. 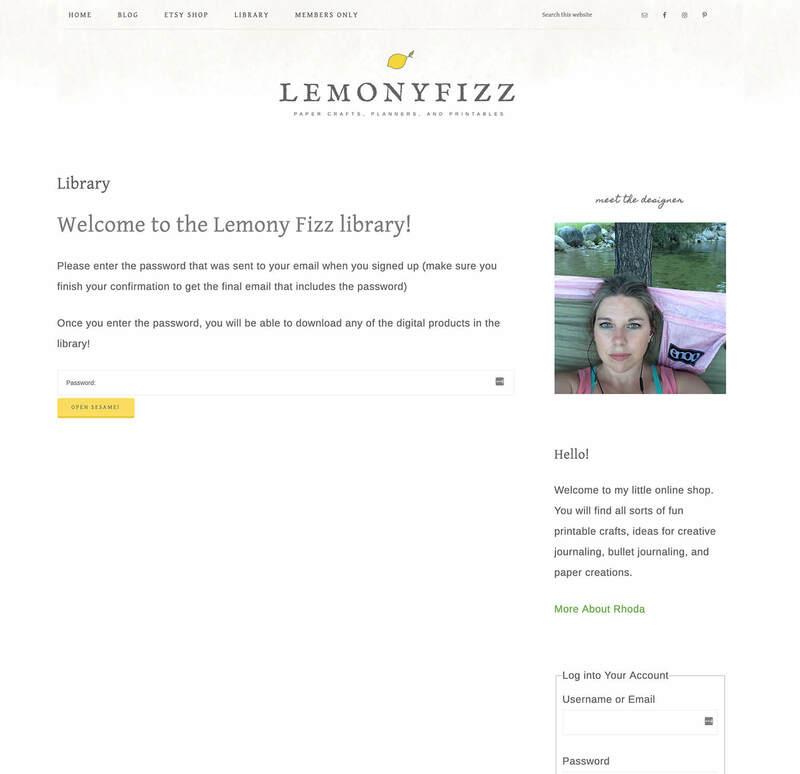 I’ve also created a video tutorial on creating private categories for Easy Digital Downloads. So far, we’ve covered the options to protect specific categories in Easy Digital Downloads. Finally, I’ll tell you how to use these techniques to create a completely private or hidden Easy Digital Downloads store. You can make your whole WP downloads store private using password protected categories. The trick is to create one password protected category and structure your entire e-commerce store within this category. Once you’ve done this, anyone who clicks on a link to your main store category or any of its downloads or sub-categories will be prompted for the password. The rest of your WordPress website will remain public as usual. Once you’ve password protected Easy Digital Downloads, you need to decide how people will access it. You can either keep it completely hidden and give the link to authorised customers, along with the password. Or if you prefer, you can add a link to your Easy Digital Downloads customer login page. You can call this ‘Store Login’ or similar, and can add the link to your website header, footer, navigation menu or wherever you like. How can I password protect other WordPress e-commerce plugins? The techniques described in this article will work for Easy Digital Downloads or any other WordPress e-commerce plugin such as WP eCommerce. The Password Protected Categories plugin is compatible with any plugin that uses categories. There’s also a dedicated WooCommerce version of the plugin – WooCommerce Protected Categories. 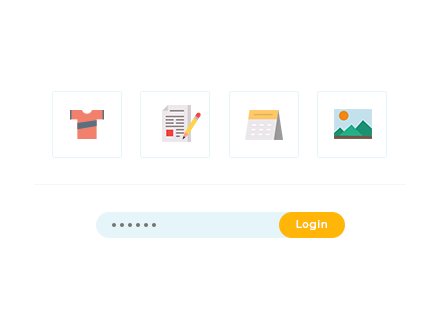 This works in a very similar way to Password Protected Categories, but is specifically designed for WooCommerce. Want a better layout for your EDD product lists? If you like Password Protected Categories then you’ll love our plugin to list your Easy Digital Downloads inventory in a product table. Posts Table Pro takes your downloads and creates an instant table or one-page order form, complete with AJAX search form and quick filtering. How do you protect your Easy Digital Downloads store? Now it’s your turn. 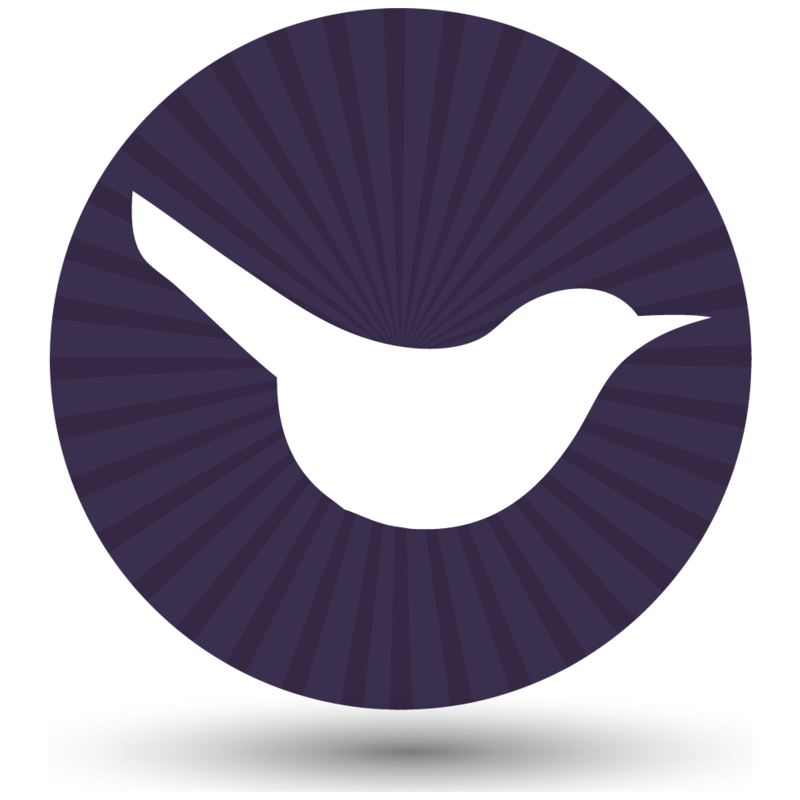 Do you have hidden areas within an Easy Digital Downloads store, and what do you use them for? Do you use Password Protected Categories or are there other solutions you’d recommend? Please leave your comments below. Hi Haseen, you can protect Easy Digital Downloads content with the Password Protected Categories plugin. If you just need to let your users login, logout and register without hiding any content from public view, then you can just use the built-in WordPress user login. EDD has its own user account shortcodes which you can use to create the account pages, so you don't need any extra plugins for that. If you want to create a front end user registration and login plugin then I recommend Theme My Login.